​Shea is the owner and founder of Gulf Coast Therapy Works, LLC. She is an LPC in the state of Alabama and also an LMHC in the state of Florida. She is a Registered Play Therapist with the Association of Play Therapy and also a Certified Clinical Trauma Professional with the International Association of Trauma Professionals. She is also trained to use EMDR and is currently working on her EMDRIA certification. She is also currently writing articles for the magazine Growing Up Maury on parent/child relationships throughout the different phases of life. ​Though her area of specialization is in trauma recovery with children and teenagers, she also has had successful experience working with the following, in no particular order: Depression, Anxiety, Autism Spectrum Disorders, Sensory Processing Disorders, ADD/ ADHD, Reactive Attachment, Bipolar Disorder, Grief/ Loss, Life Transitions, Behavior Management, Sexual Acting Out of children under 12, Non-Offending Caregiver treatment, Hoarding, and Post Traumatic Stress Disorder. 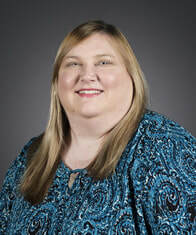 Kimberly Starling is a Licensed Marriage and Family Therapist in the state of Alabama. She received her Bachelor’s Degree in Theology from Franciscan University. Her Master’s Degree in Marriage and Family Therapy Counseling was obtained from the University of Mobile. For the last nine years, she has worked with both Baldwin County Mental Health and Altapointe. She has extensive experience working with children, adolescents and families, as well as with adult individuals and couples. She is currently in the process of obtaining her certification for EMDR. ​Darlene B. Wareham is a Licensed Marriage and Family Therapist in both Wisconsin and Alabama, as well as a Board Certified Professional Christian Counselor. She is a graduate of Valparaiso University and the University of Wisconsin-Milwaukee. She is also a graduate of the Family Therapy Training Institute where she completed her postgraduate work in Marriage and Family Therapy. As a therapist in Wisconsin, she owned and operated the private Christian counseling practice, Breath of Life Counseling Services, for over 20 years. Simultaneously, she also worked for the Aurora Employee Assistance Program found in the Milwaukee area. Her expertise is with couples, families, and individuals, both adult and adolescent. ​Copper is a Play Therapy Canine in Training. It is anticipated that he will be fully credentialed in the Fall of 2018. Copper is a 2 year old German Shepherd mix. Copper is loving, gentle, intelligent, and very eager to work. He will be used only with a patient/guardians consent and on days when those with allergies are not present.